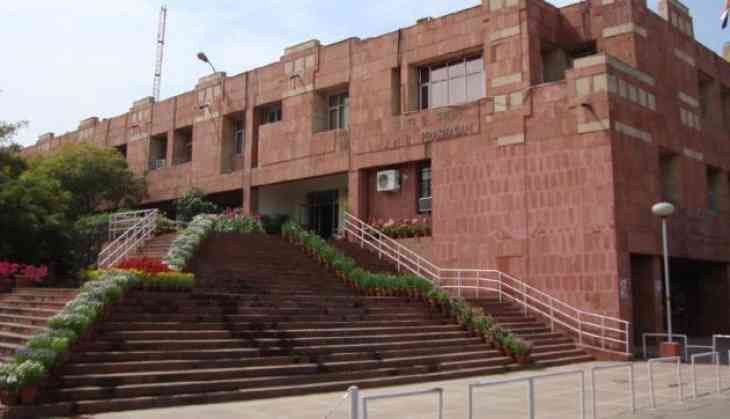 The Delhi Police said that it has registered three cases in connection with the alleged violence on the Jawaharlal Nehru University campus over the screening of a film on the contentious issue of 'love jihad' on Friday night. The police had received 13 complaints in the matter and registered the cases after analysing the complaints. The police said yesterday that it has registered a case following a complaint by former JNUSU president Mohit Kumar Pandey against a few students, who, he alleged, roughed him up. Another case was registered against Pandey on the complaint of Yogesh Kumar, a security guard at the university, who suffered injuries in his leg after Pandey allegedly ran his car over him. A third case was registered on the basis of a complaint by a woman student, who alleged that she was hurt and words or gestures were used to outrage her modesty. The screening of the film "In the Name of Love - Melancholy of God's Own Country" on Friday was organised by the Global Indian Foundation and the Vivekanand Vichar Manch of JNU. Members of Jawaharlal Nehru University Students Union and Gender Sensitisation Committee Against Sexual Harassment had disrupted the film's screening, alleging a hate campaign was being propagated in its guise. Minor scuffles had erupted between the protesters and the ABVP members. According to the organisers, the film, directed by Sudipto Sen, focussed on the issue of 'love jihad' and religious conversion of girls in Kerala. Students opposed to the film had assembled at the Sabarmati dhaba to protest the "hate propaganda in the name of love jihad". They breached security cordons and disrupted the screening by holding placards in front of the screen. "Why is ABVP/RSS hiding behind the Vivekanand Vichar Manch? We won't let the RSS's venomous 'Love Jihad' myth be propagated," a statement issued by the protesters read. An effigy of the Rashtriya Swayamsevak Sangh and the ABVP was set on fire to protest the film's screening. In the melee, a few students were injured, while the security guard had to be hospitalised.